The BEST custom-cutting of tape shapes for conformal coating masking will save you time and money. 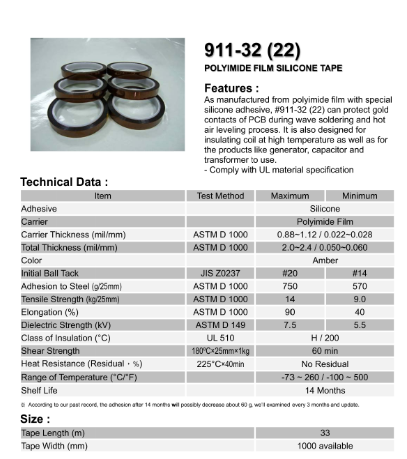 BEST will cut out, on release liner-backed tape sheet, custom shapes of Shercon 22-SH Flexible tape/adhesive. These shapes will then be “fit” onto a sheet either as a single board of patterns or as a step-repeat pattern for conformal coating protection. The advantage of a sheet of custom tape masking shapes is that the coating technician can take note when all the tapes have been pulled off. This will help determine if all of the masked-off areas of the PCB are protected. It is a way to help insure quality control for conformal coating masking tape for smaller lot sizes when die cutting is not economically viable. As an alternative, you can have a single custom shape or pattern fit onto a sheet without having to stock a multitude of sheets. BEST custom TapeShapes™ are quickly and precisely cut sheets of Shercon 22-SH tape that are cut using a laser. This has the advantage of the cuts being processed quickly and accurately. After the receipt of your dimensions, BEST will send back a check plot indicating what the sheet of shapes will look like. After your approval, the tape sheets will be cut within 24 hours. Not only will they be shipped out quickly but the cuts will be acute to 0.001” insuring that the keep out areas are maintained. More information on conformal coating masking solutions can be found here. BEST will perform CAD work and send back a check plot for approval. Kapton(TM) is a DuPont product. It took some back and forth on what I wanted. I marked up GERBER and they laid it out. Shercn tape is what we normally use so the tape was the same.